Do you use Excel spreadsheets at your agency? We found in our 2017 Insurance Agency Technology survey that insurance agencies are still using Excel spreadsheets (11%) and paper files (15%); that's ¼ of the industry that still hasn't adopted a digital system. So, we want to talk about what you should be aware of when using paper files or Excel spreadsheets and, ultimately, why agencies are making the switch to an agency management system. 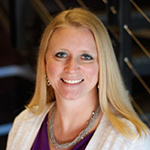 Tasha Fitzgerald is a Client Success Specialist at AgencyBloc who also spent 14 years as a licensed Life and Health insurance agent. She and the rest of the Client Success team at AgencyBloc have moved hundreds of agencies from Excel to AgencyBloc, an agency management system. She will be sharing her industry knowledge on book-of-business management struggles insurance agencies face and what today's agency owner or agent should consider.